Check out this gently-used 2014 GMC Sierra 2500HD we recently got in. Your buying risks are reduced thanks to a CARFAX BuyBack Guarantee. Put performance, safety, beauty, sophistication and all the right amenities into a car, and here it is! Now you can own luxury without the luxury price tag! This 4WD-equipped vehicle will handle majestically on any terrain and in any weather condition your may find yourself in. The benefits of driving an Four Wheel Drive vehicle, such as this GMCSierra 2500HD SLT, include superior acceleration, improved steering, and increased traction and stability. 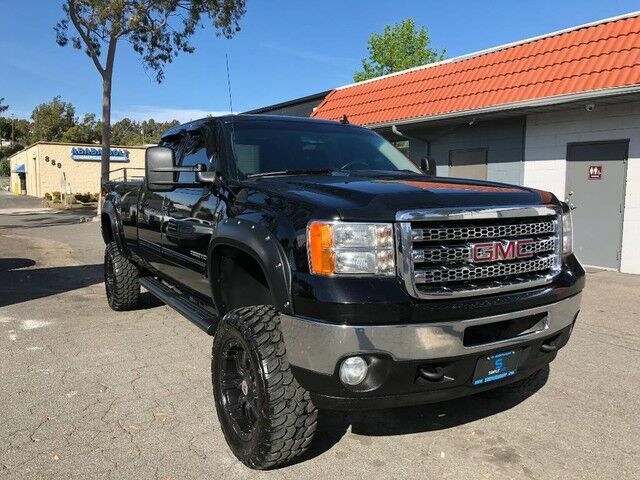 More information about the 2014 GMC Sierra 2500HD This vehicle is in great condition with a custom leveling kit and custom wheels. The Truck has almost brand new tires and it runs like a beast!